Under Owen’s As-Needed Architectural and Engineering Master Contract, Owen is currently providing full service architectural and multidisciplinary engineering design services for the New Urgent Care Clinic at the El Monte Community Health Center. This project entails the design of an approximately 6,000 sq. ft. Urgent Care Clinic on the first floor level of the existing El Monte Community Health Center (CHC). 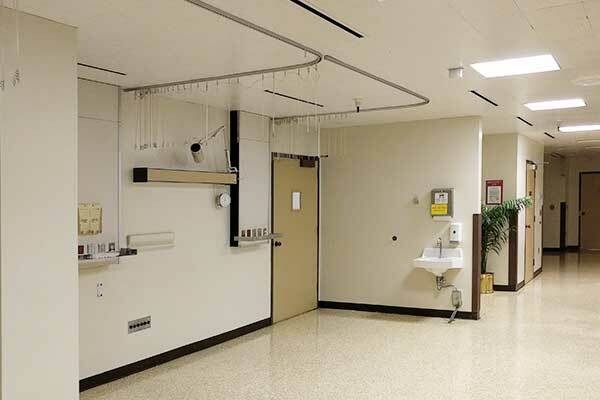 This area once served as operating rooms and is now being converted. The new clinic will be on the south east corner of the existing facility. Owen is designing this Urgent Care Clinic, using the space programs provided as a guideline on the first floor level. The new clinic will be on the south east corner of the existing facility. The existing facility was built in 1979. The existing area will be gutted out and rebuilt for this project. The project will be plan checked by LADPW Building and Safety (LADPW B+S) that will include OSHPD 3 components required for the project scope or licensing. The existing space planned for this new urgent care center is formerly included, but not limited to the Post-Operative / Recovery Rooms, south of the existing Pharmacy. The existing infrastructure and services for this area will be upgraded to support the new layout.